The title, Guna (2016), is a Sanskrit word meaning ‘string, thread or strand’ and was inspired by Adams yoga practice. 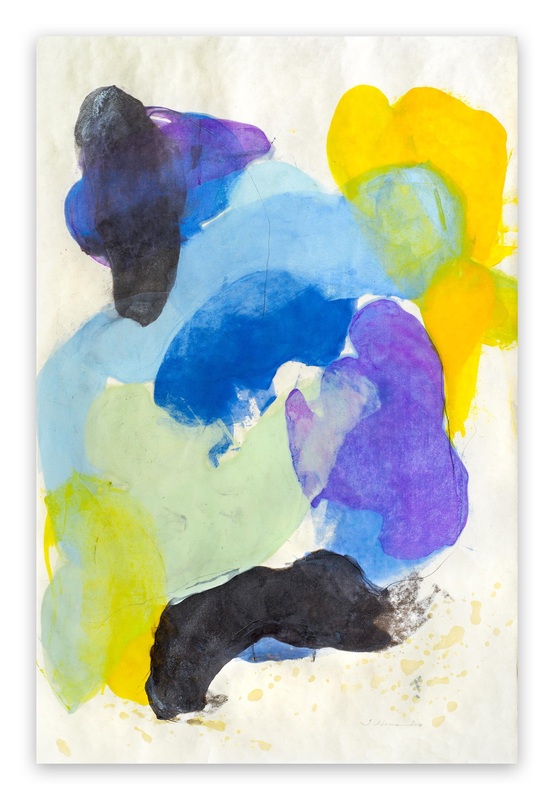 The pieces in this series are printed with pigmented encaustic on Japanese paper; they are mounted on panel and coated with medium or stand alone like this work on Okawara paper. These artworks were a reaction to the more serialized and geometric work Adams was doing, a need to break from that and work in a freeing and more physical way. 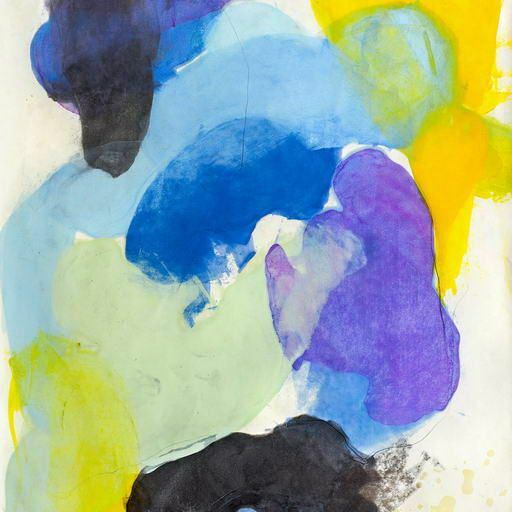 Tracey Adams is an American abstract painter and printmaker. Her artworks reflect a strong interest in musical patterns, rhythms, lyrical compositional elements and what she calls a sense of performance. She lives and works in Carmel, California. Adams earned her BA from Mount St. Mary's College in Los Angeles in 1978. She studied printmaking and painting at the School of the Museum of Fine Arts in Boston from 1979 to 1981, and earned her Master's Degree from the New England Conservatory of Music in 1980. She has received several fellowships and grants, including the Pollock-Krasner Foundation Grant in 2015, a grant from the US Department of State and the Ministry of Culture, and a Vermont Studio Center Fellowship. Adams works on panel and paper, using a mixture of paint, encaustic and graphite as well as elements of monotype and collage. Planning and intuition equally inform her process. Often, she will begin a work or a series from the perspective of an exact mathematical formula, planning compositional elements in advance. Other times she will begin with a grid structure then work within that structure, incorporating organic, performative gestures and expressive brushwork. Regardless where a particular work begins, Adams engages in an open, exploratory process that allows the work to evolve. 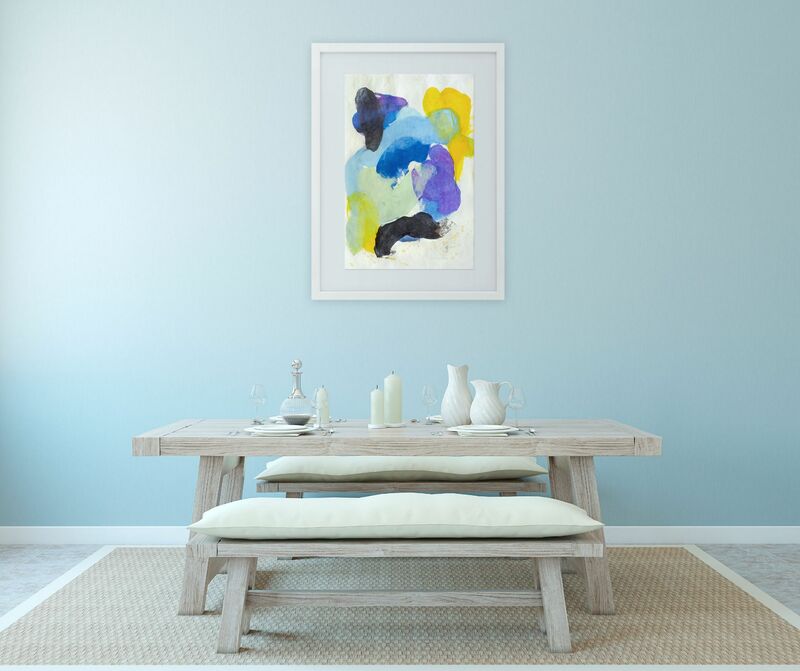 Often the finished result is a mixture of her original idea and her instinct, creating a composition that captures the essence of the harmony of mind and emotion. Her background in music is what most inspires Tracey Adams. Her works draw heavily on musical structure, rhythm and composition. Her color choices speak to her personal surroundings living on a peninsula near Monterrey in central California. The light off of the water, the muting capacity of the fog, the colors of the setting sun and the palette of the lush local flora all find their way into her work. While a graduate student, Adams was able to work often with the composer and artist John Cage, who profoundly influenced her progress. She has said that her work strives to capture the calmness and beauty of an environment she would like to be in herself. Adams has exhibited extensively in solo and group shows throughout the United States and occasionally in Europe. Work by Adams is part of the permanent collections of several museums, including the Bakersfield Art Museum, the Monterey Museum of Art, the Fresno Art Museum, the Tucson Art Museum, and the Santa Barbara Museum of Art. Her work is also part of multiple corporate collections, including those of Adobe Systems, AT&T Corporate Headquarters, Hallmark Corporate Headquarters, Sony Corporation, and Intel.